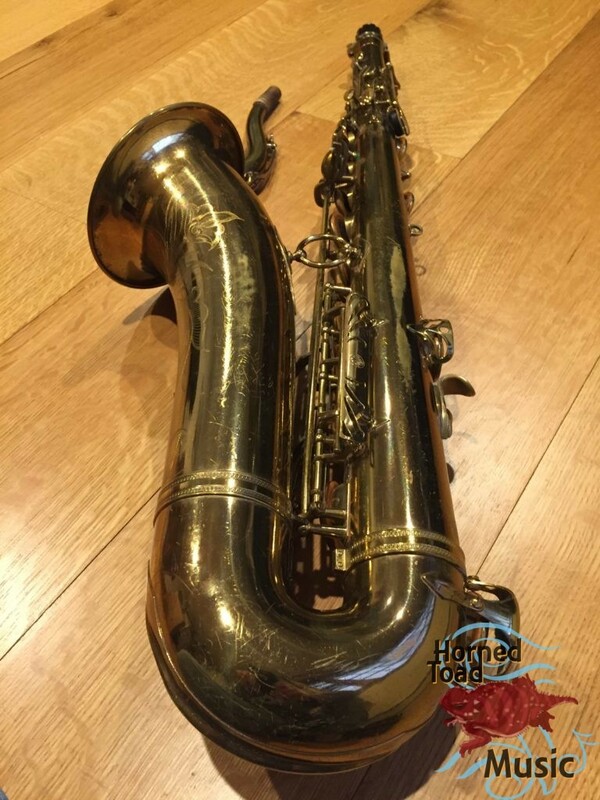 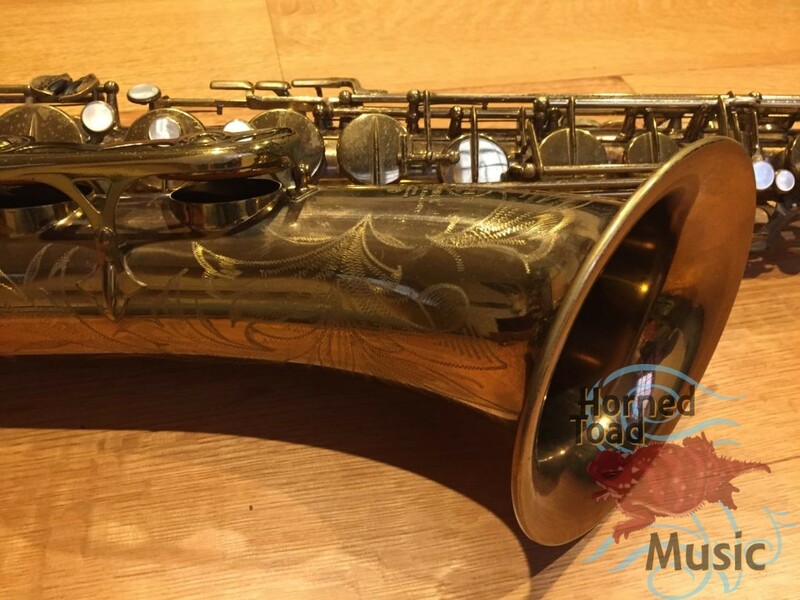 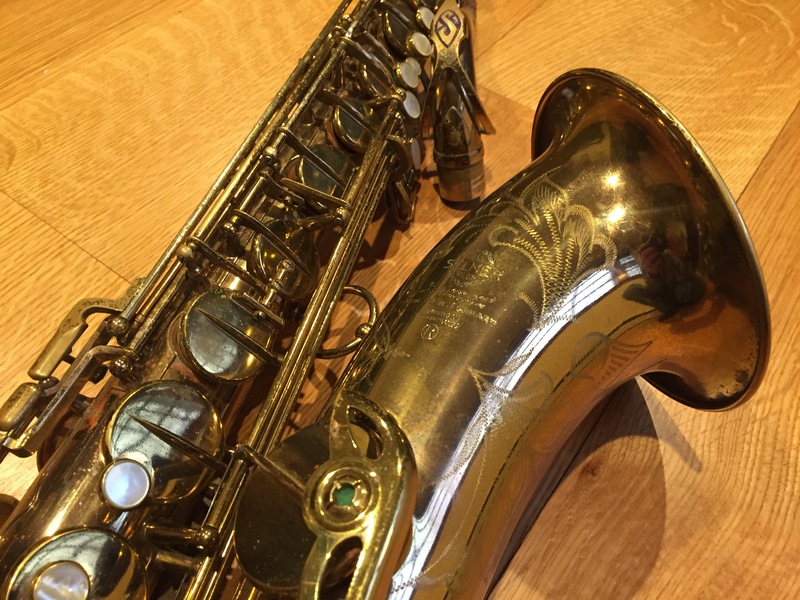 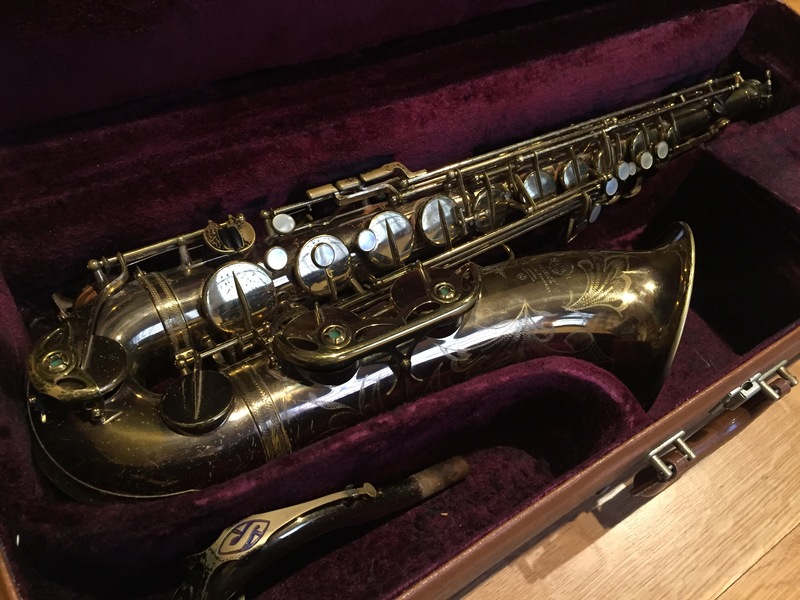 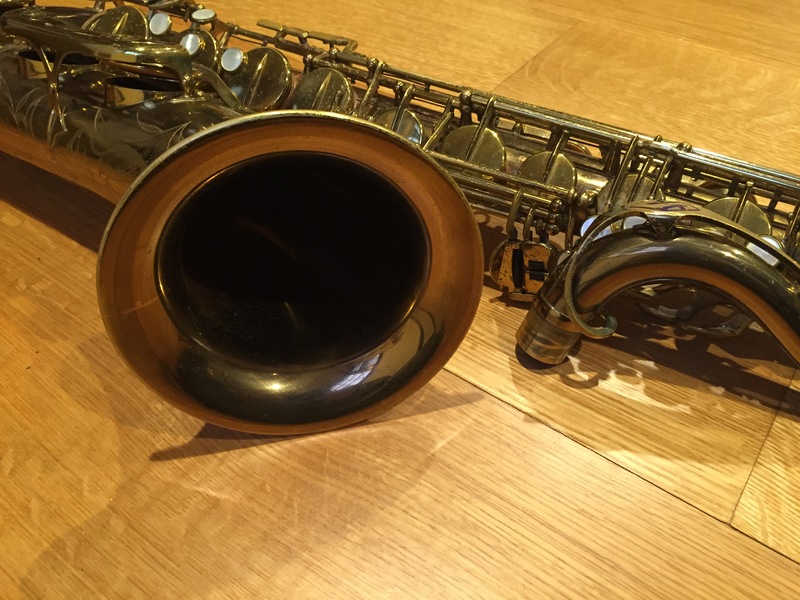 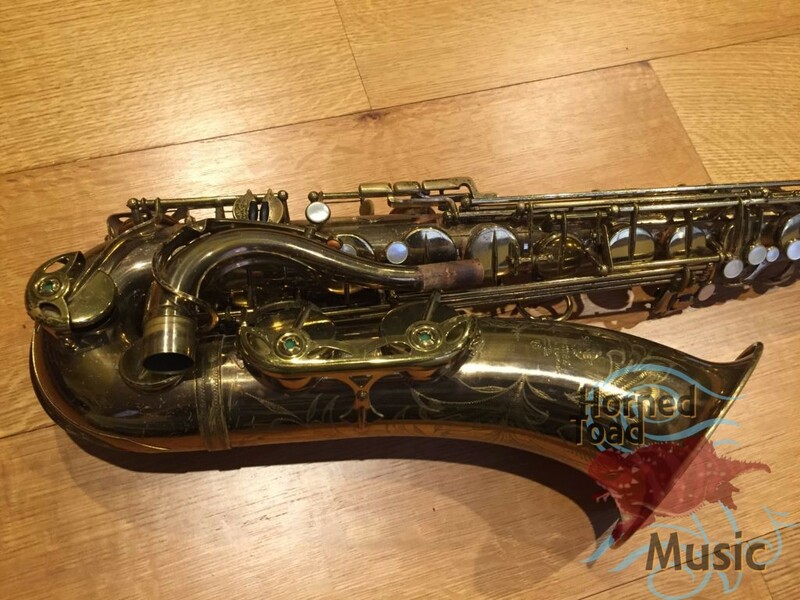 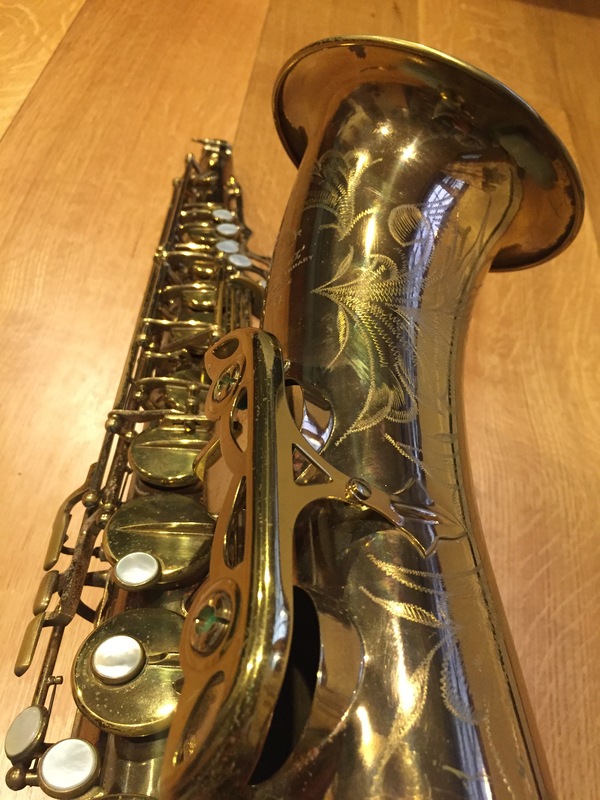 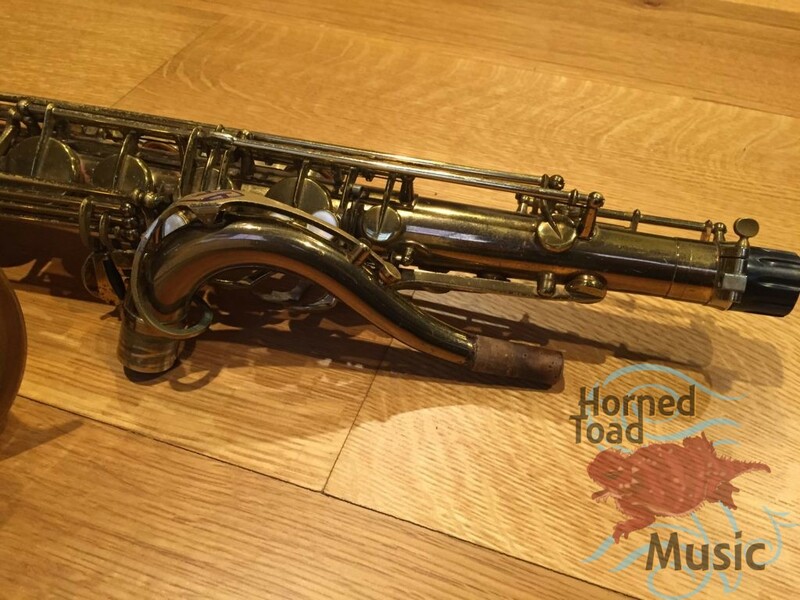 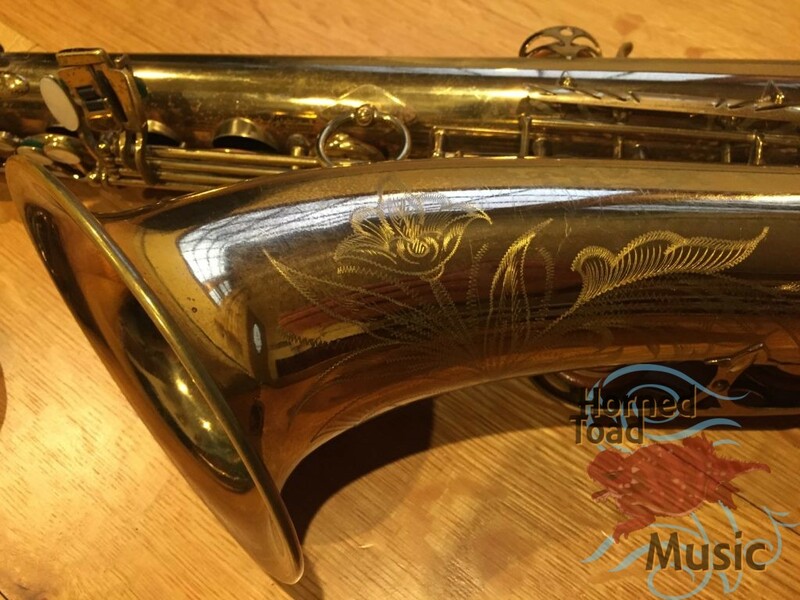 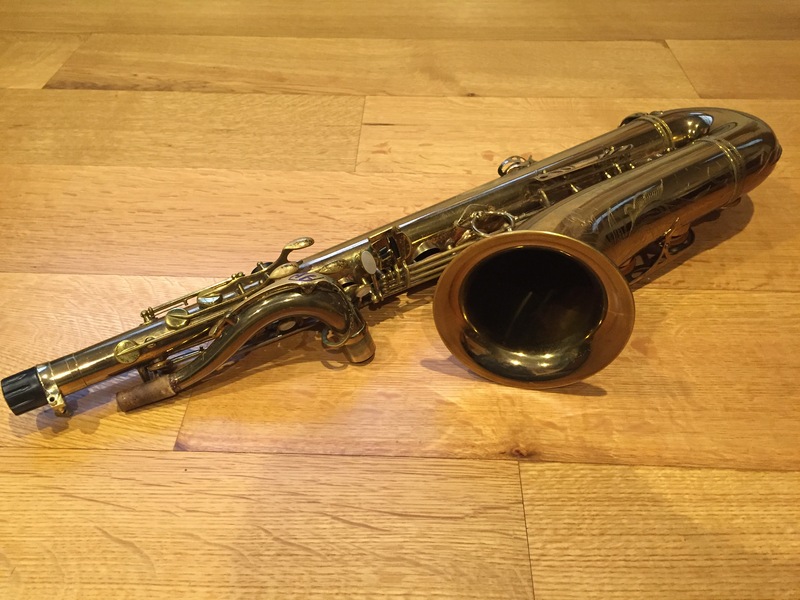 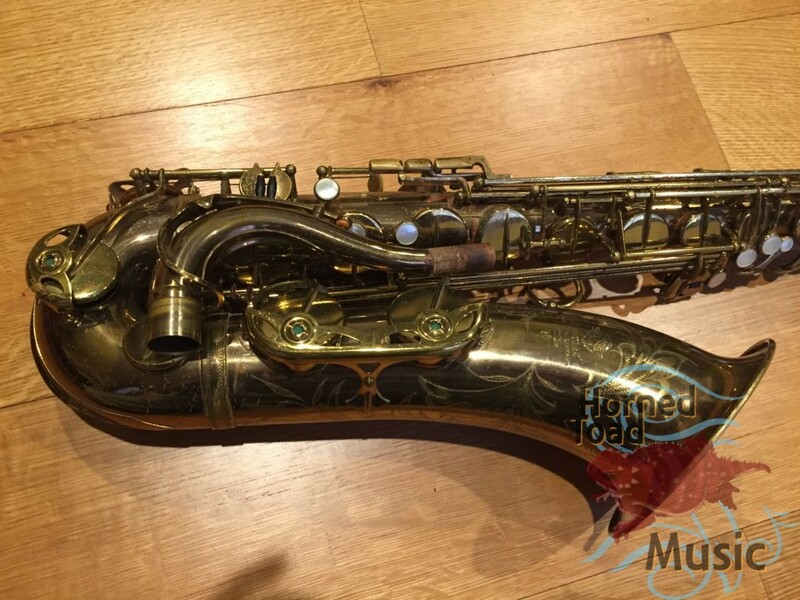 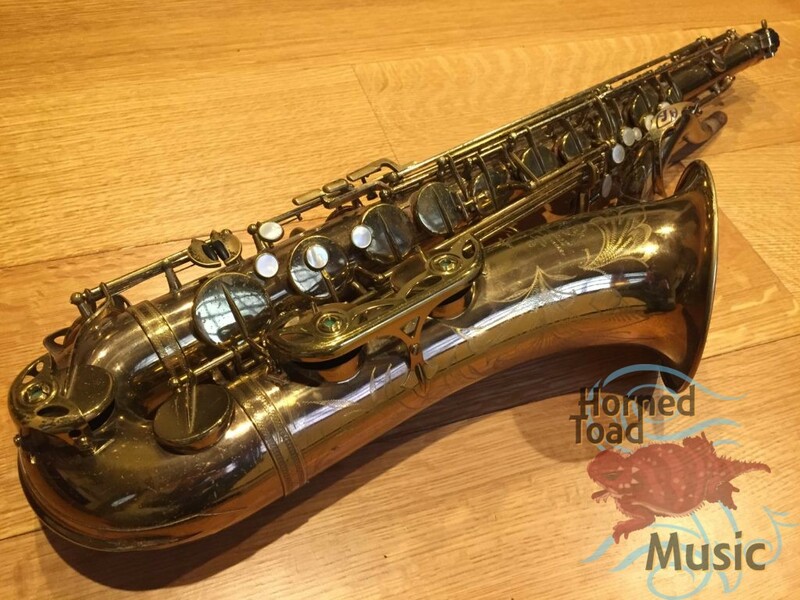 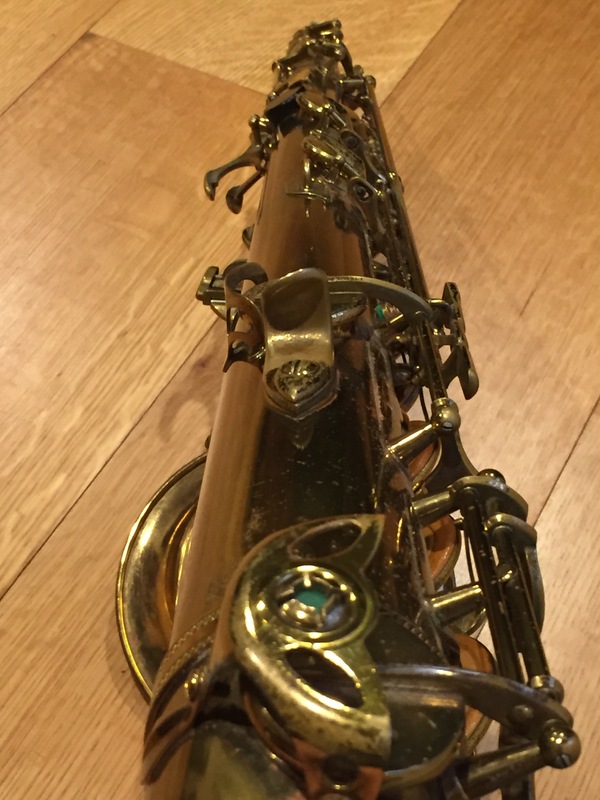 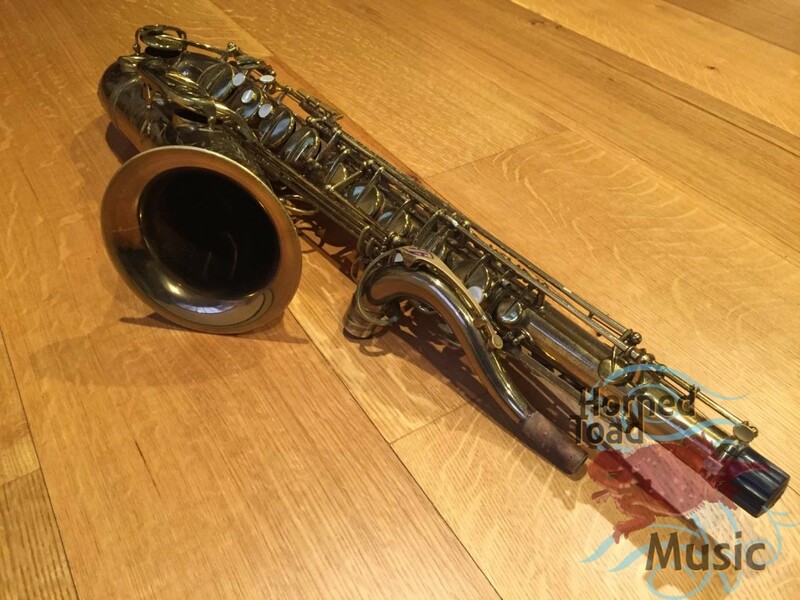 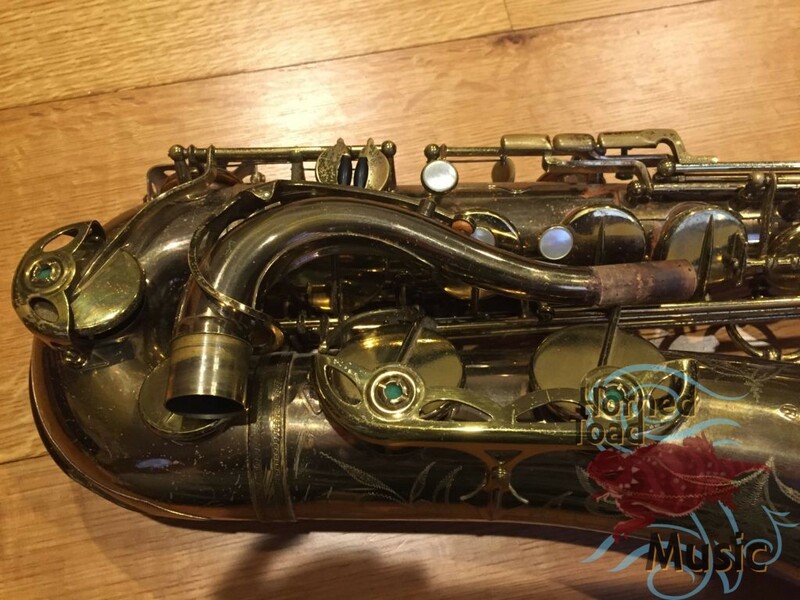 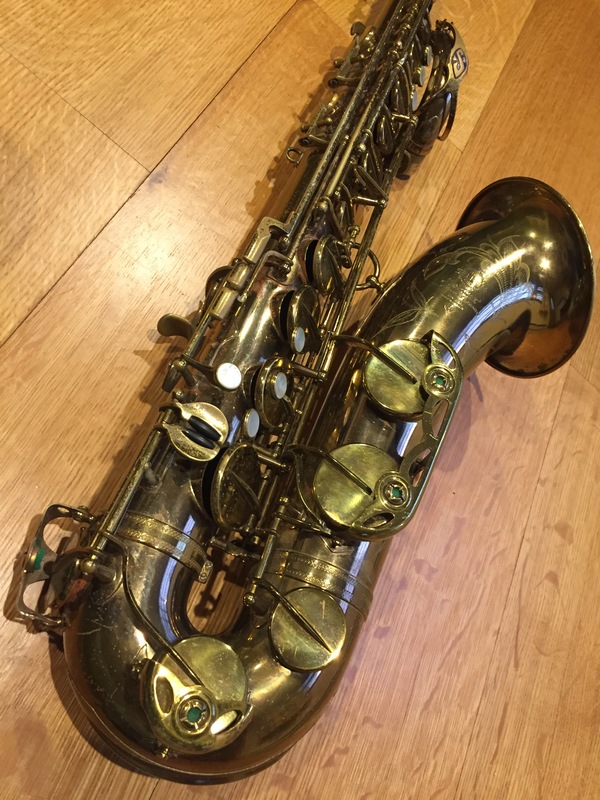 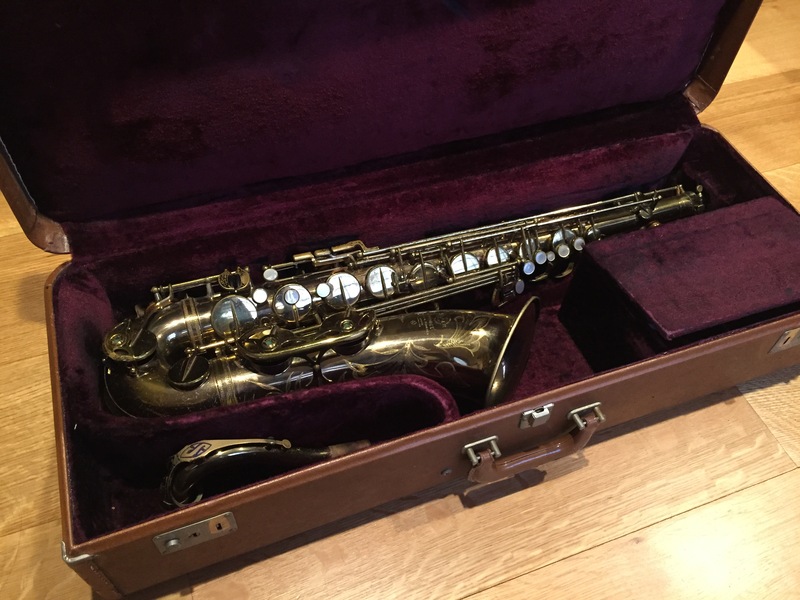 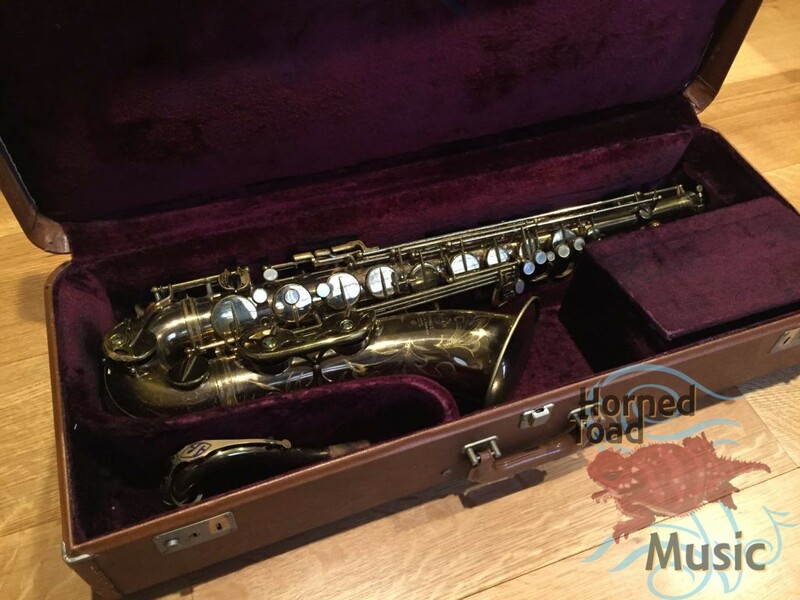 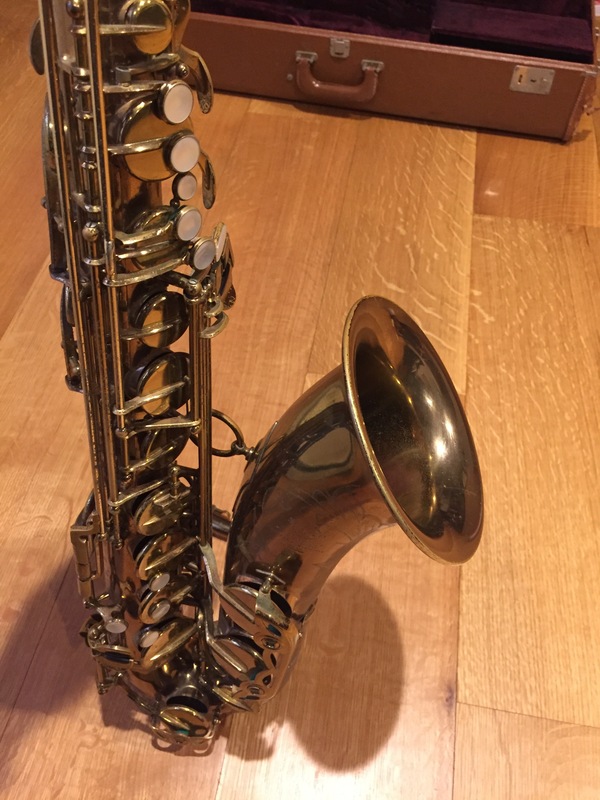 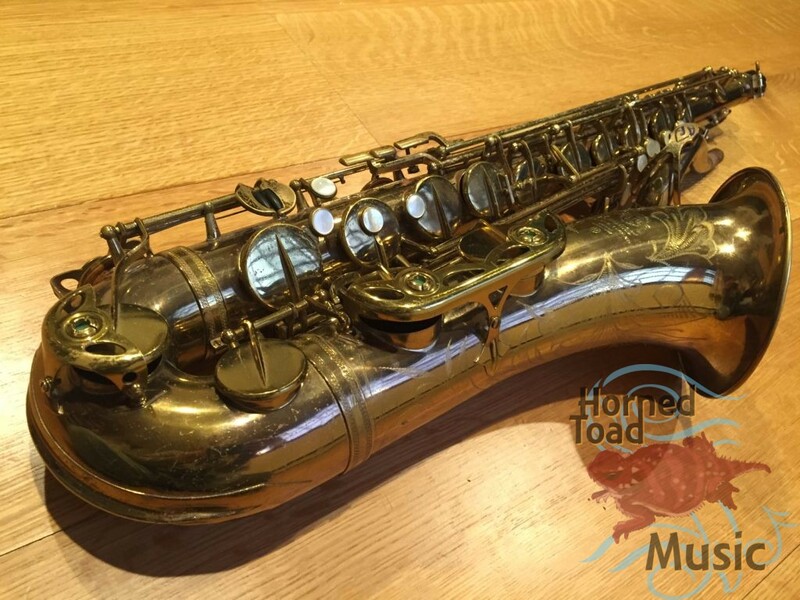 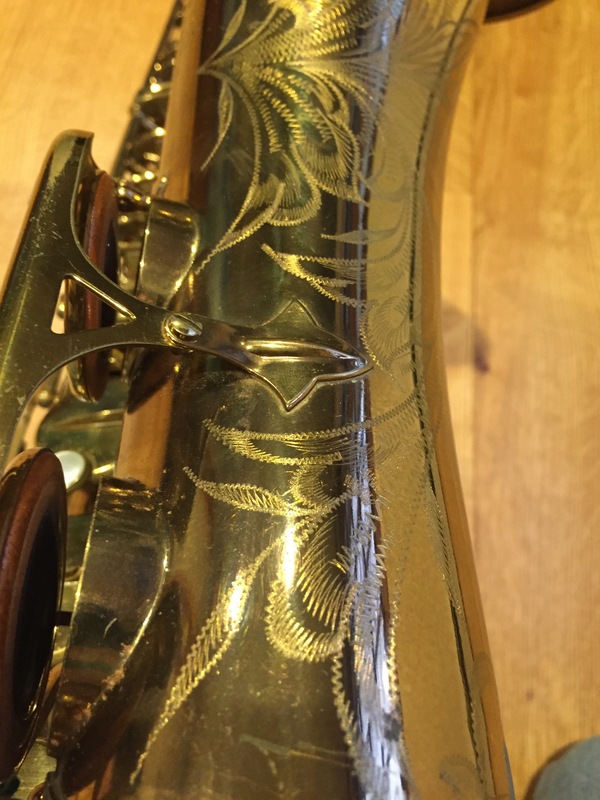 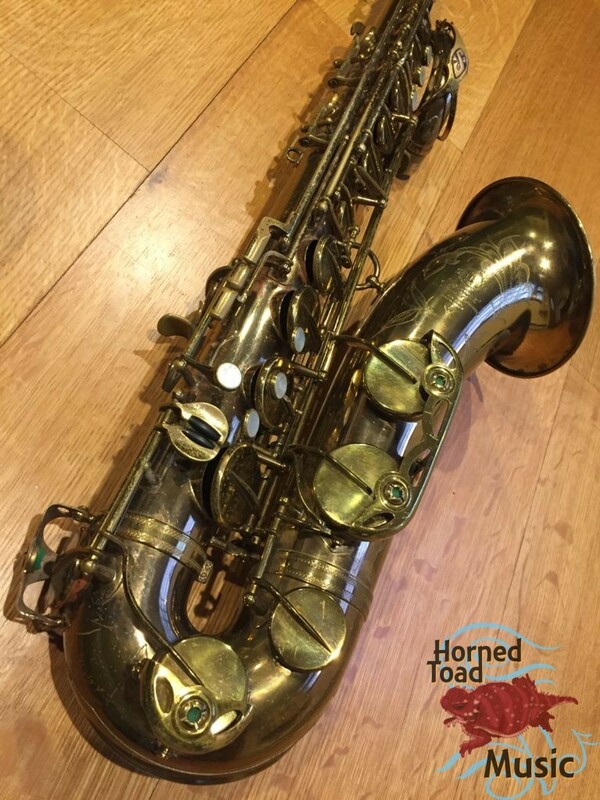 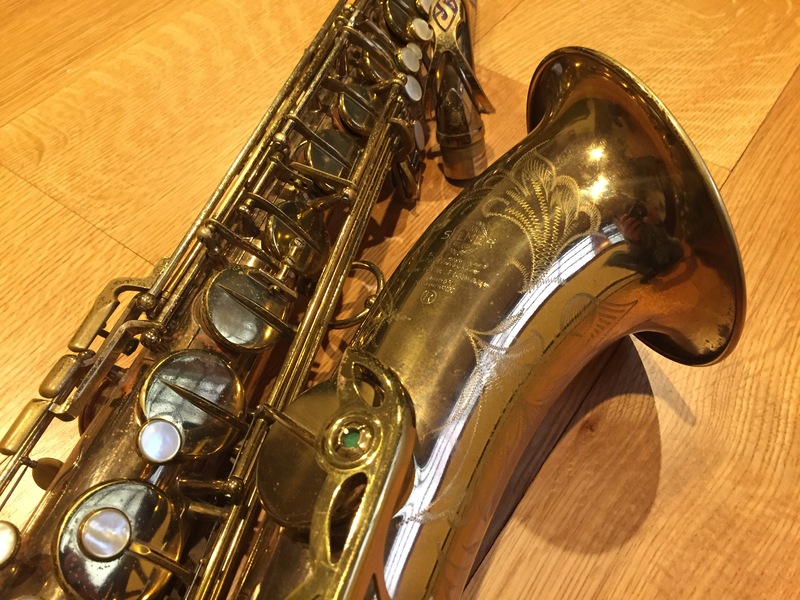 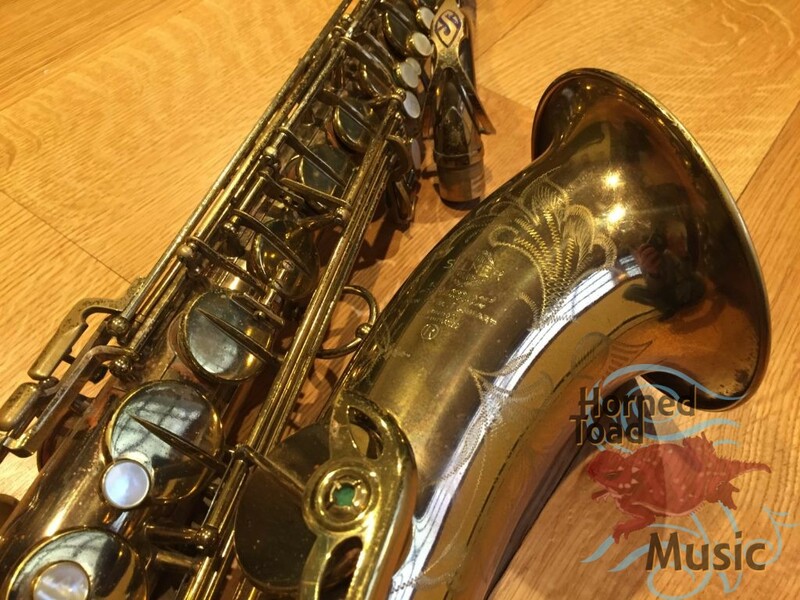 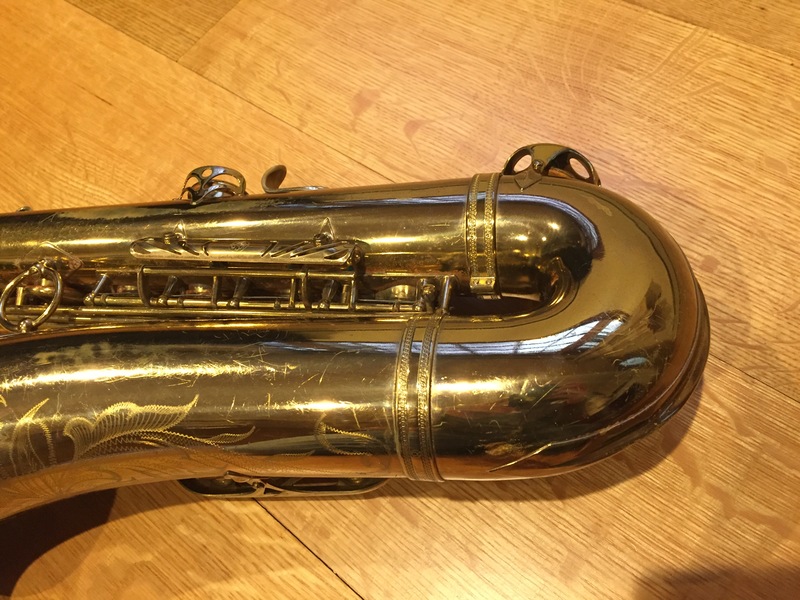 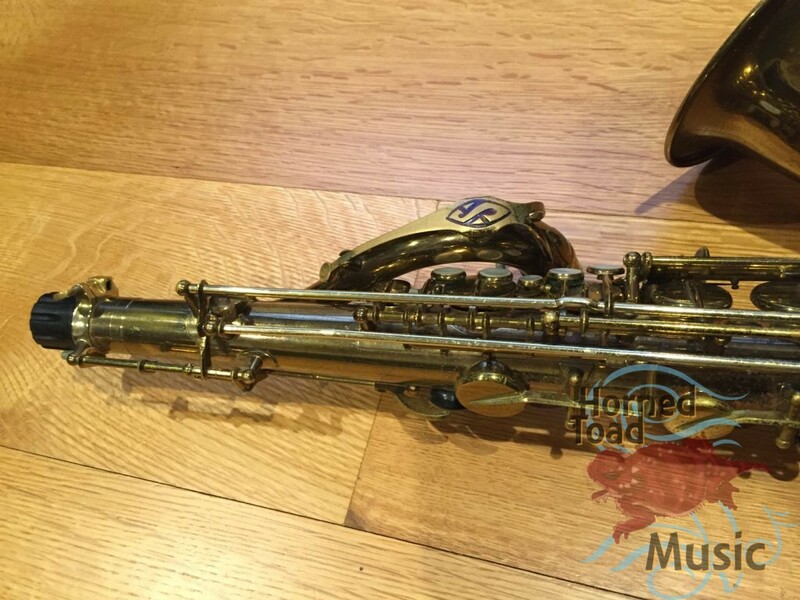 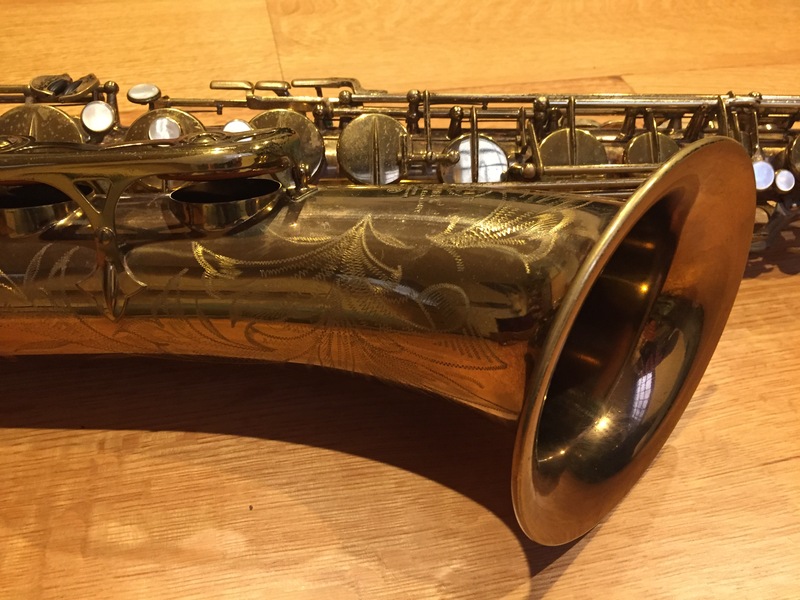 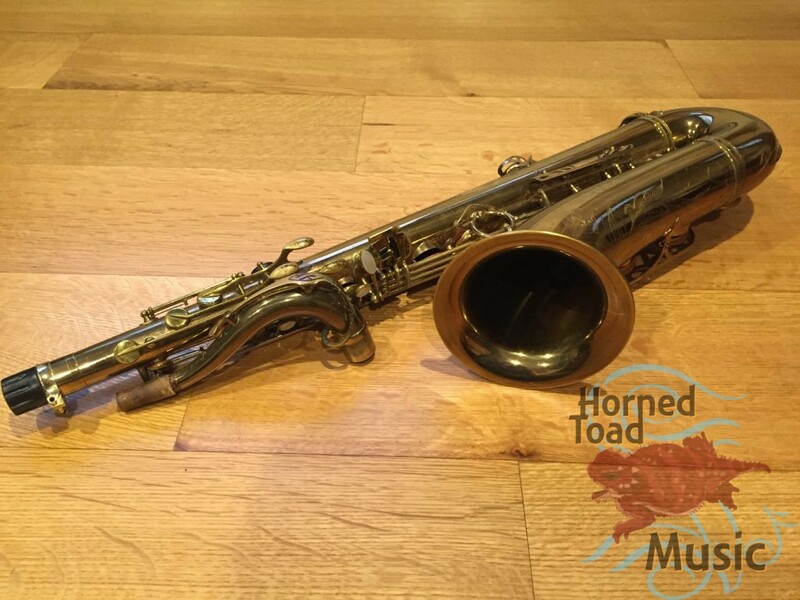 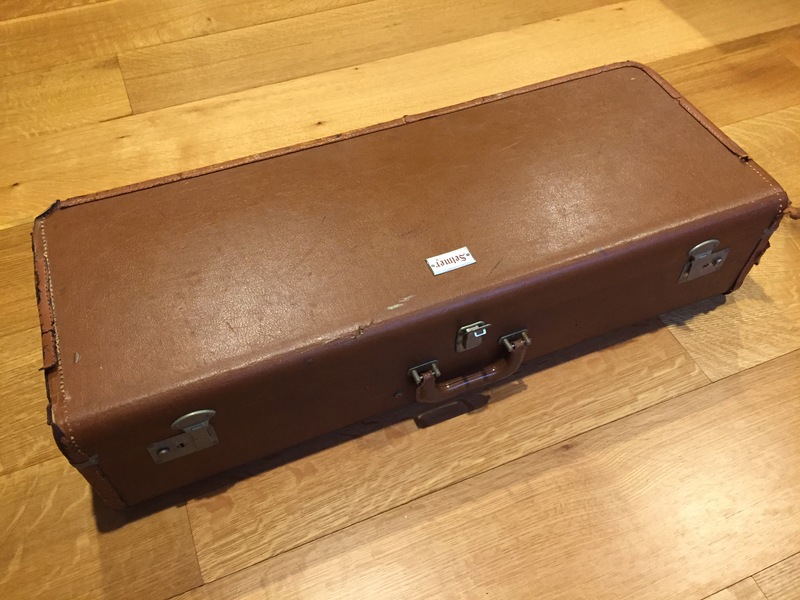 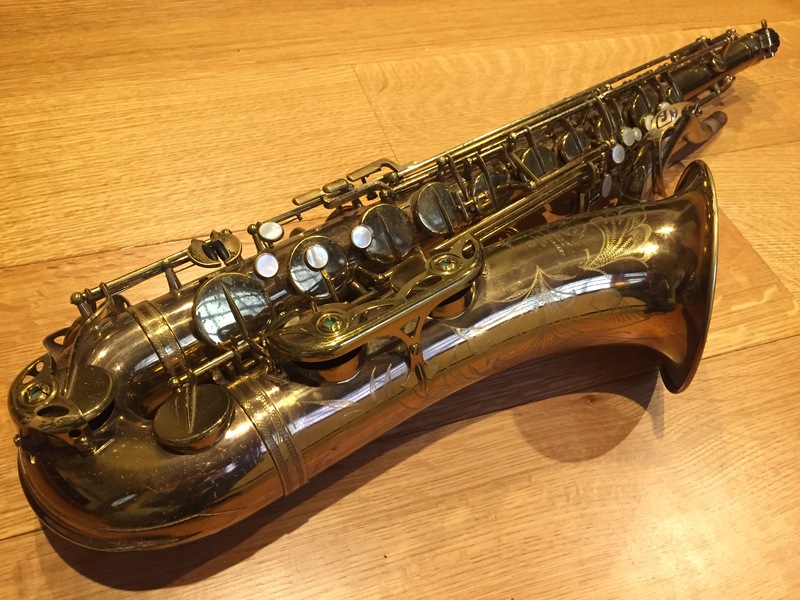 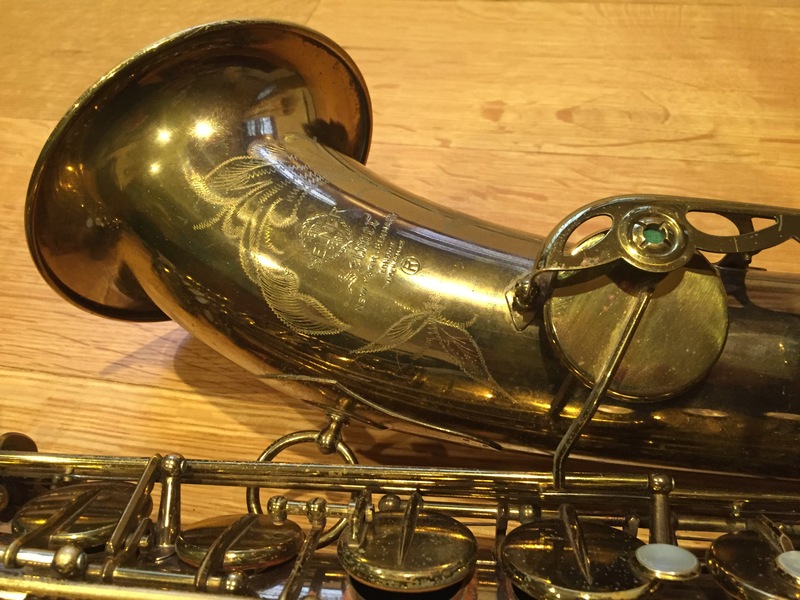 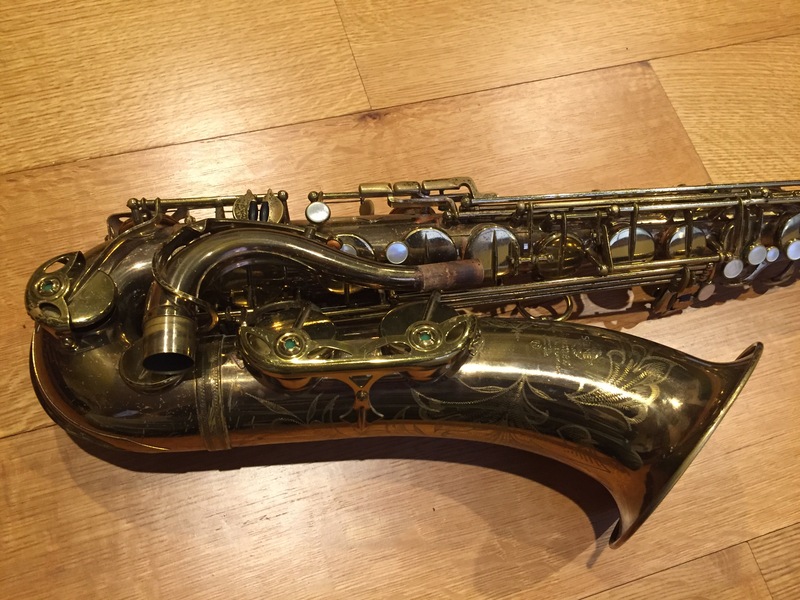 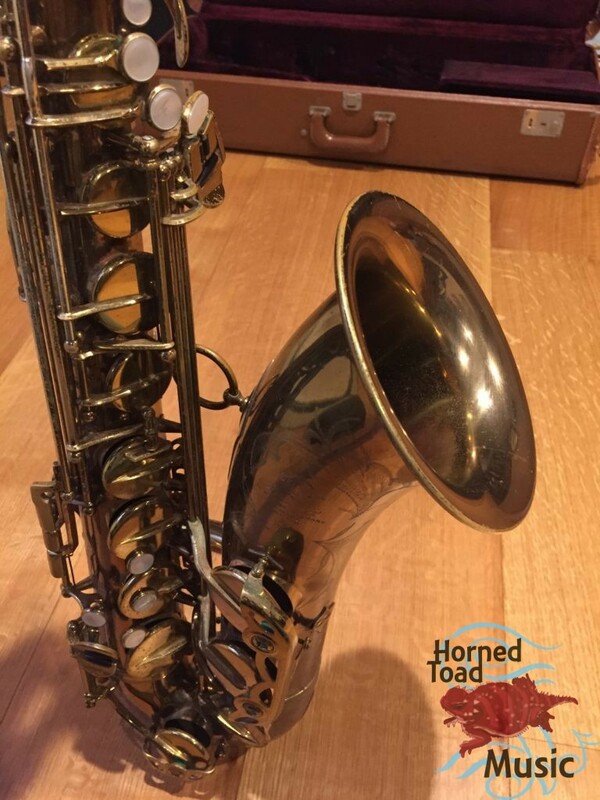 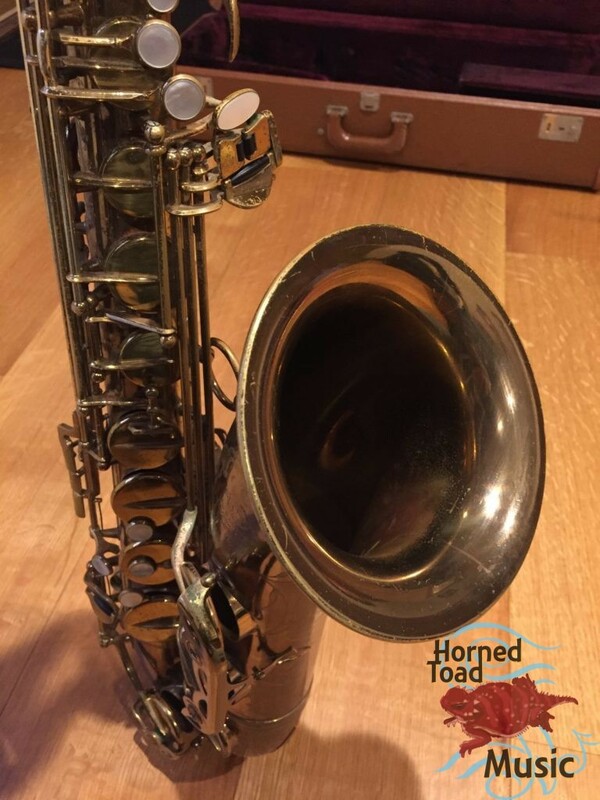 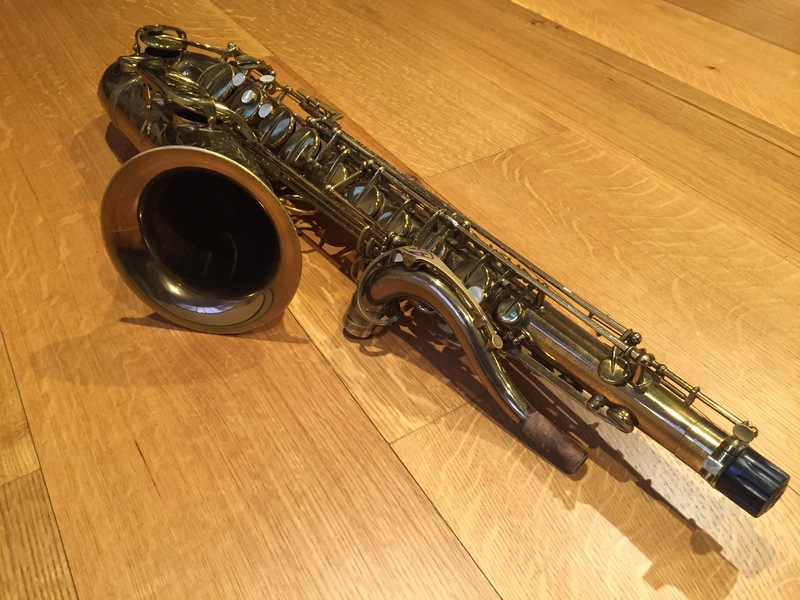 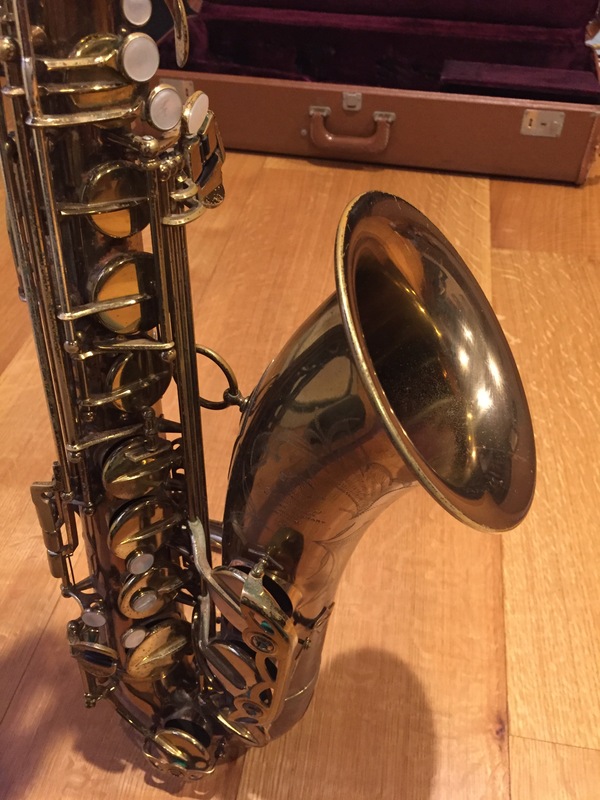 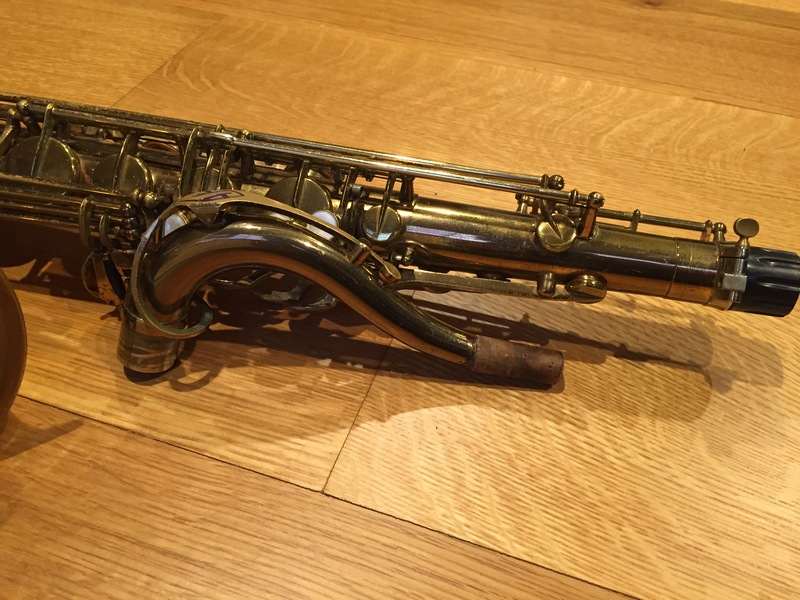 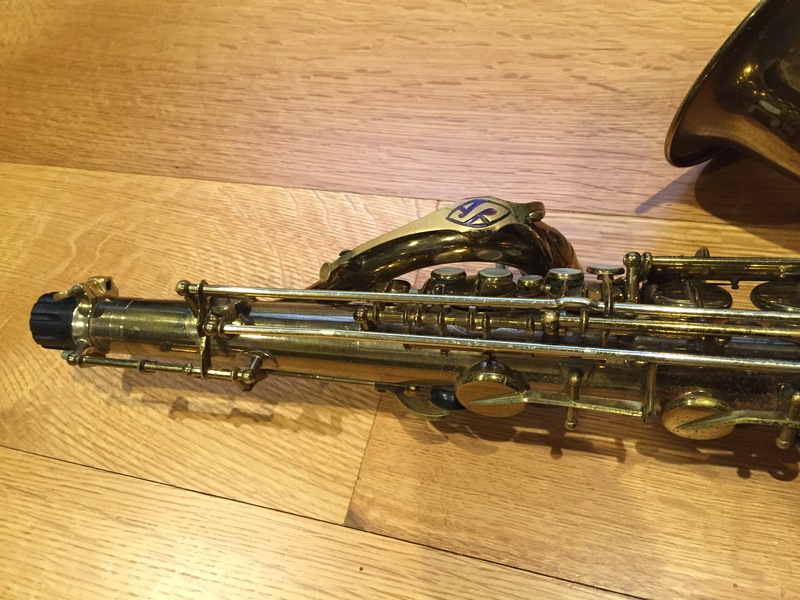 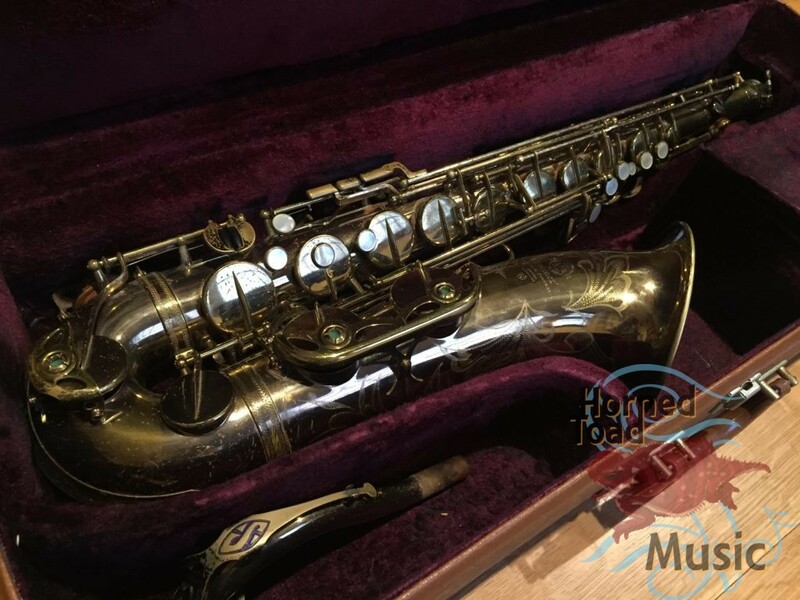 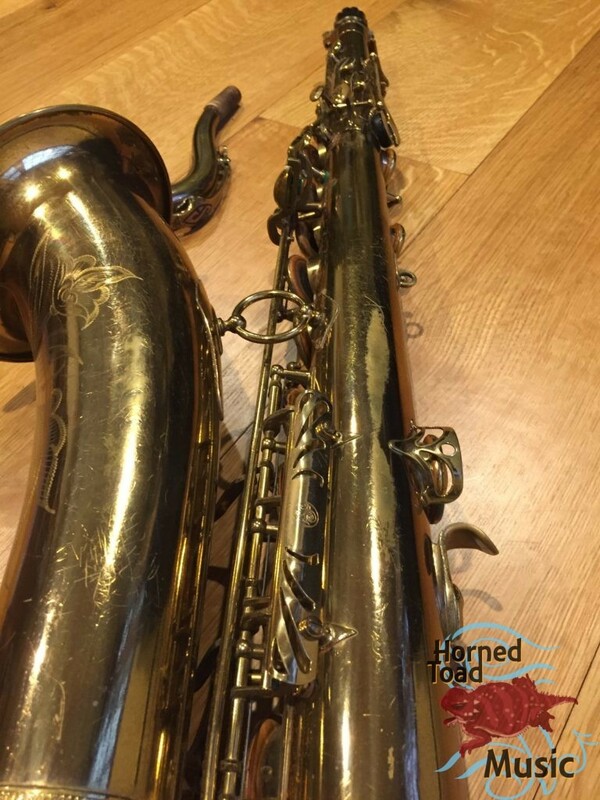 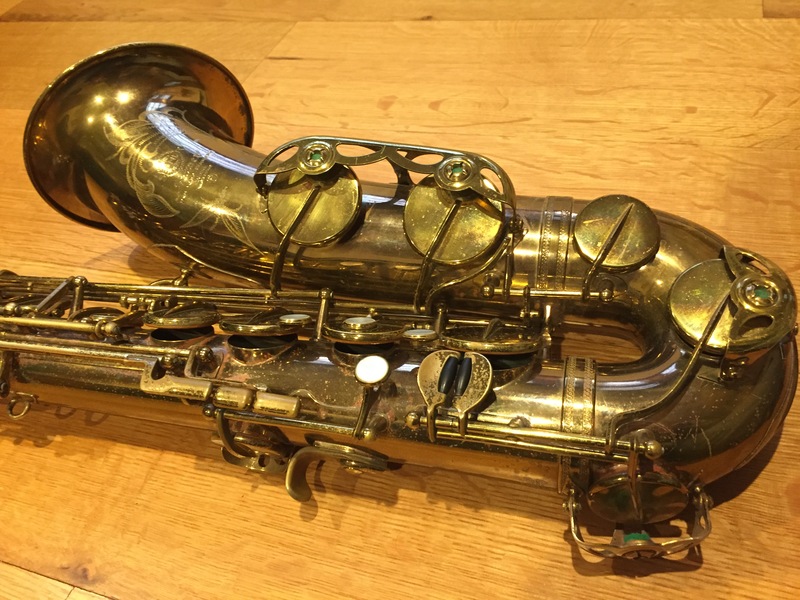 This Selmer MK VI tenor is within the excellent 80-90xxx model range with the solid key guards. 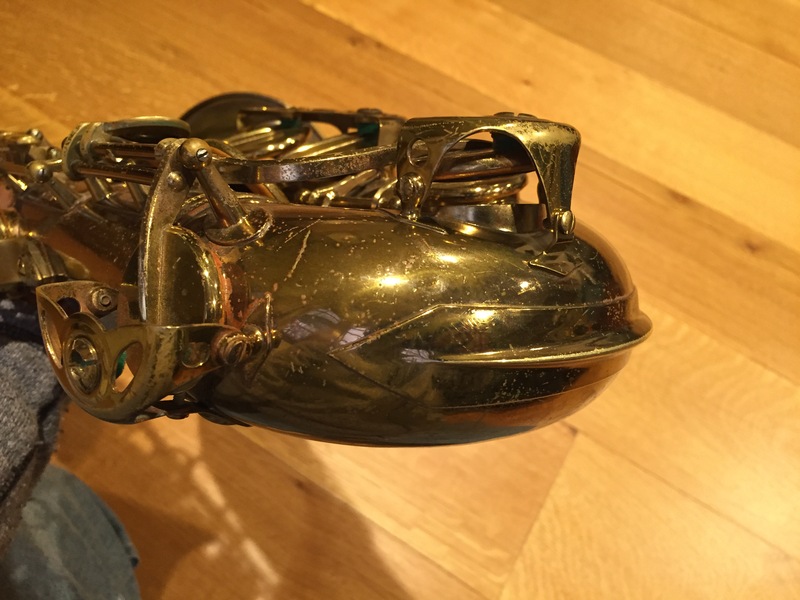 I bought this horn originally after playing it and noticing it was nearly identical to the way my 87xxx felt with its original pads on it; a huge ringing open and extremely even sound throughout the range. 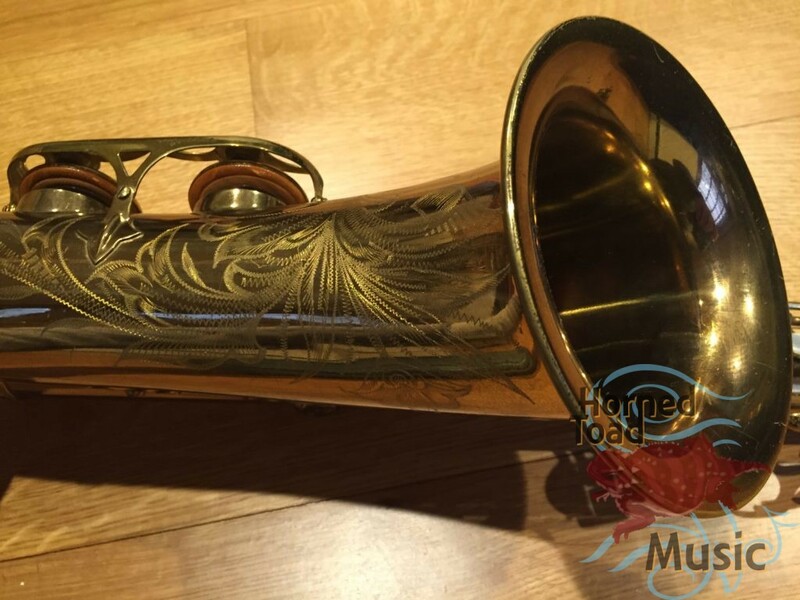 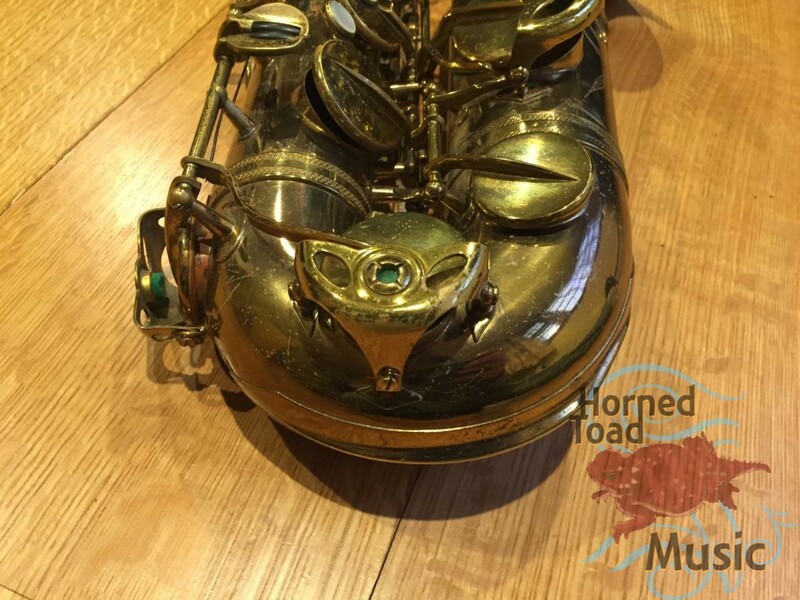 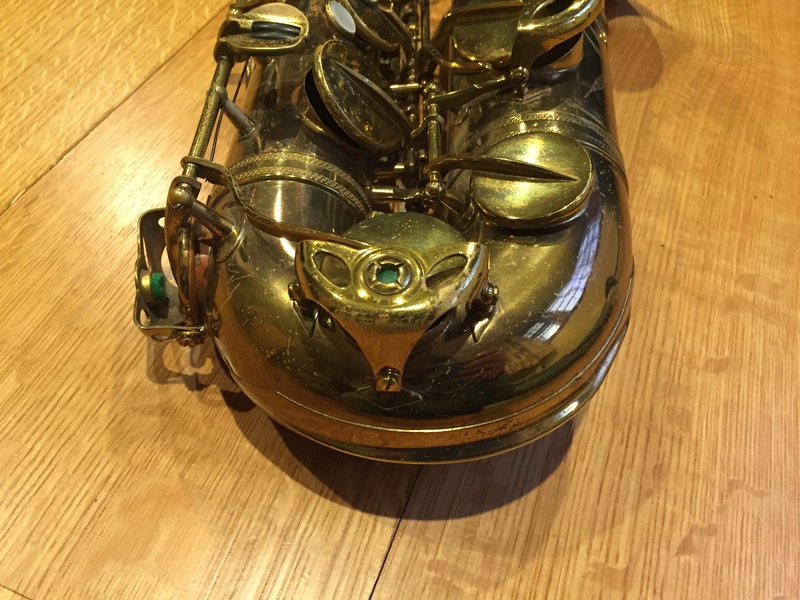 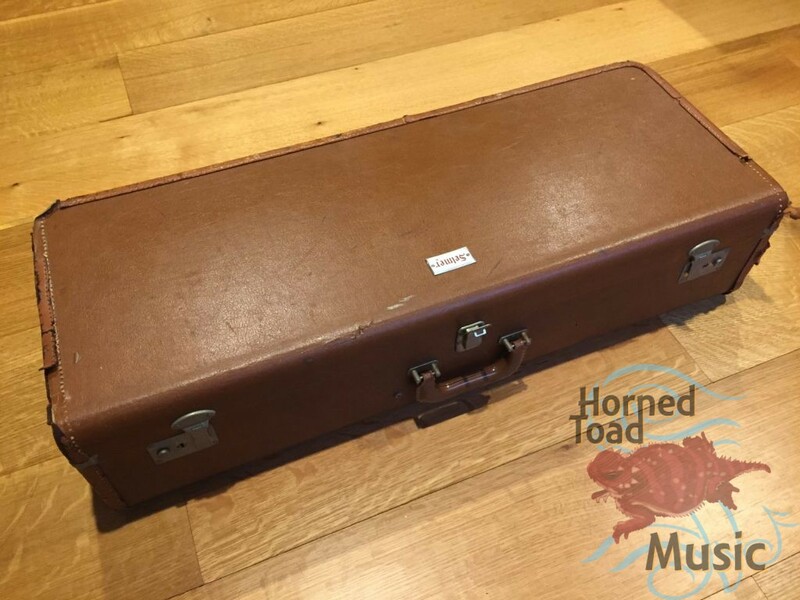 This horn has original pads, resonators factory key heights and everything. 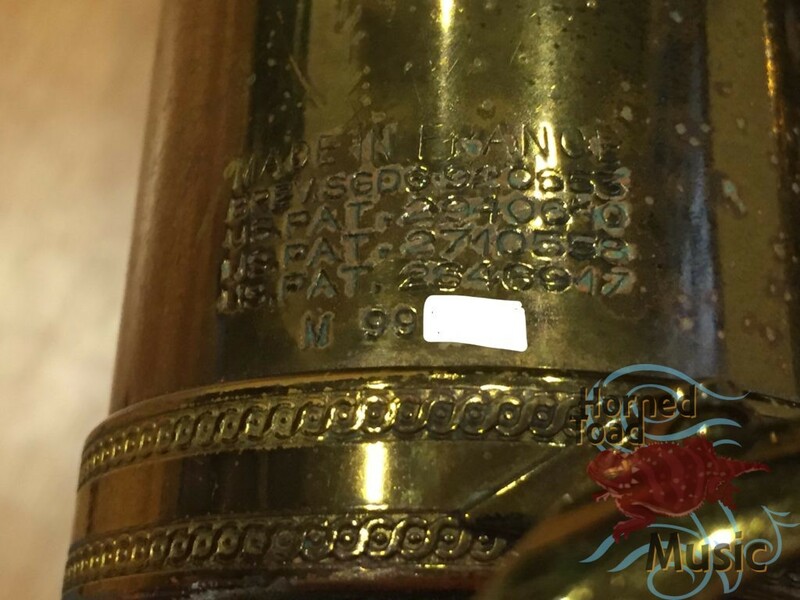 Of course the US engraving and lacquer are original. 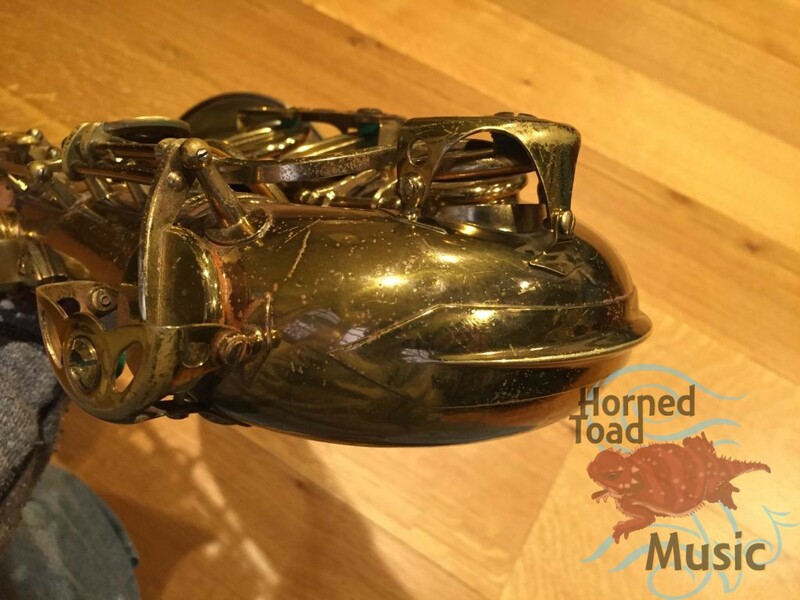 It is a bonus that this is one of those horns with really dark lacquer that has either a green or copper tint depending on the light. 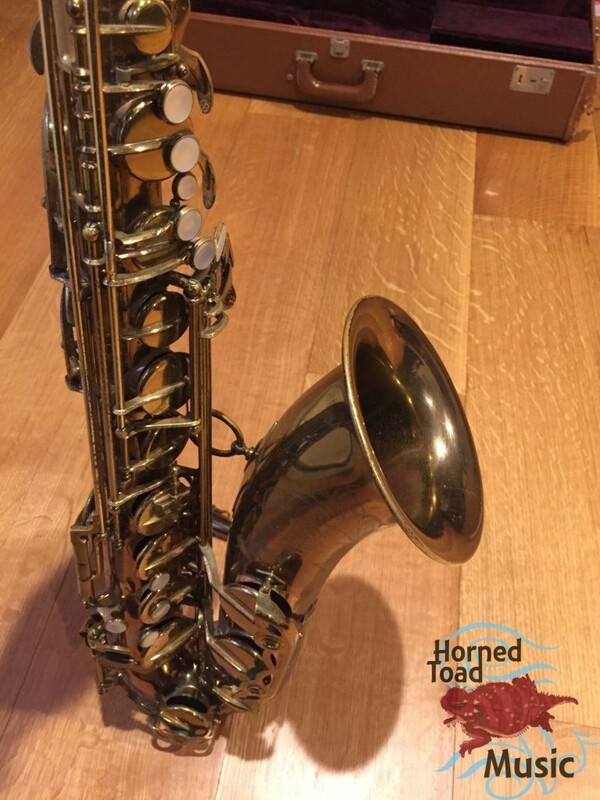 The body and neck are in excellent structural condition with only very few minor dings, normal scratches and some speckle, and no resolders. 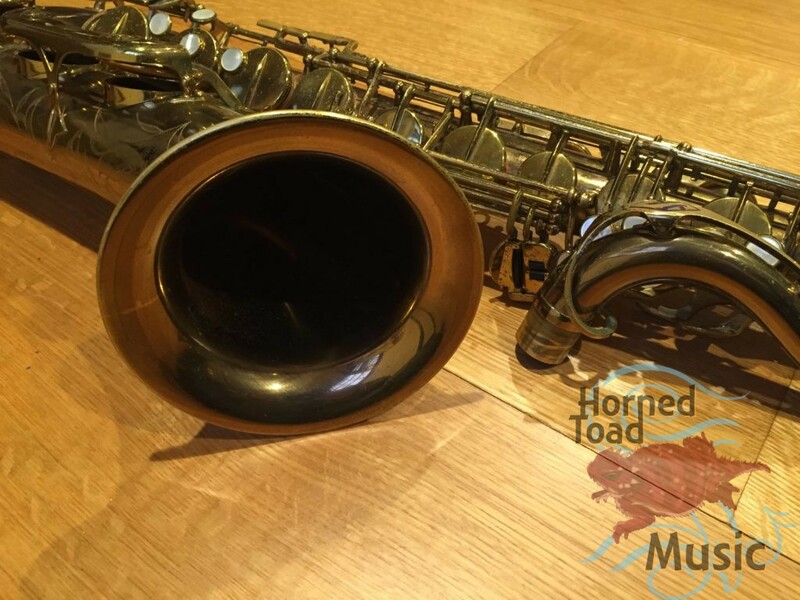 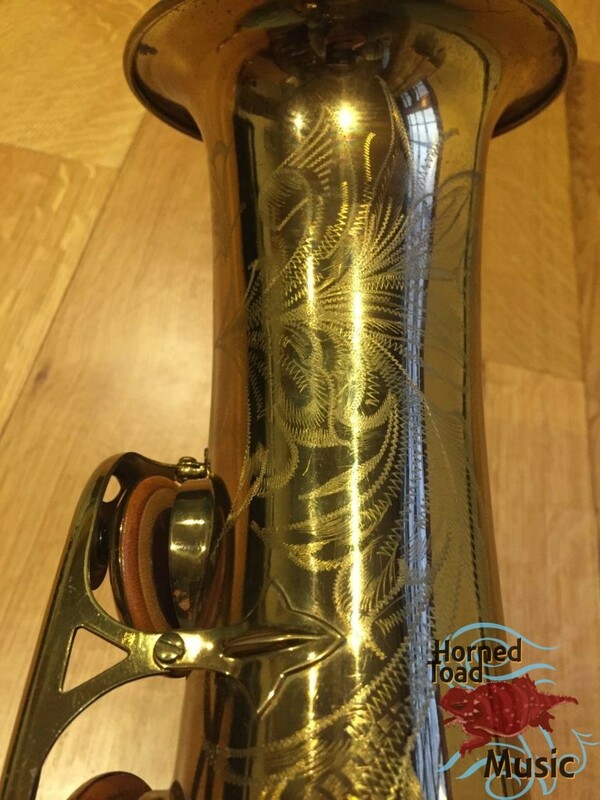 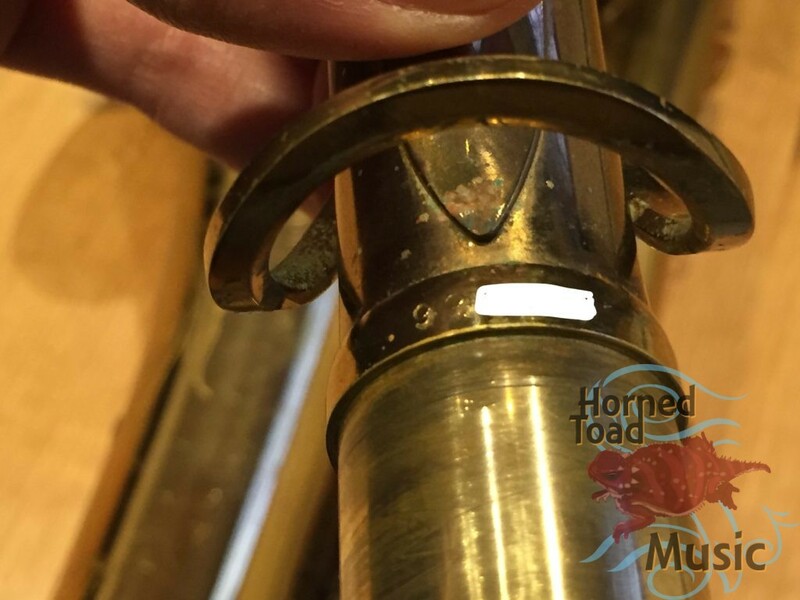 This horn has not been abused at all, and probably played very little. 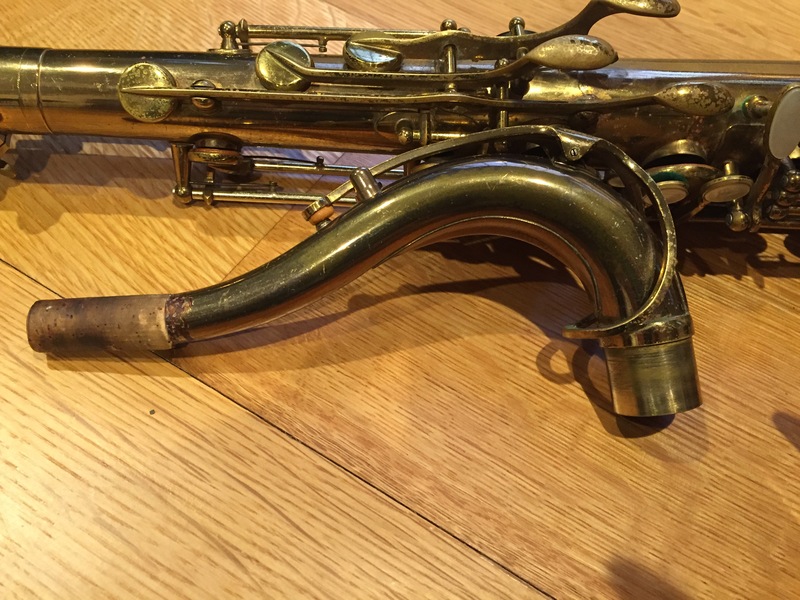 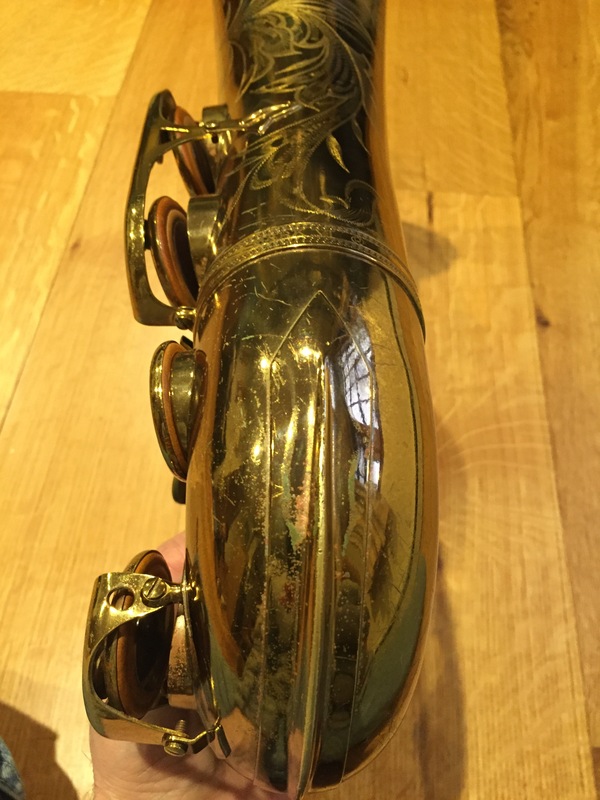 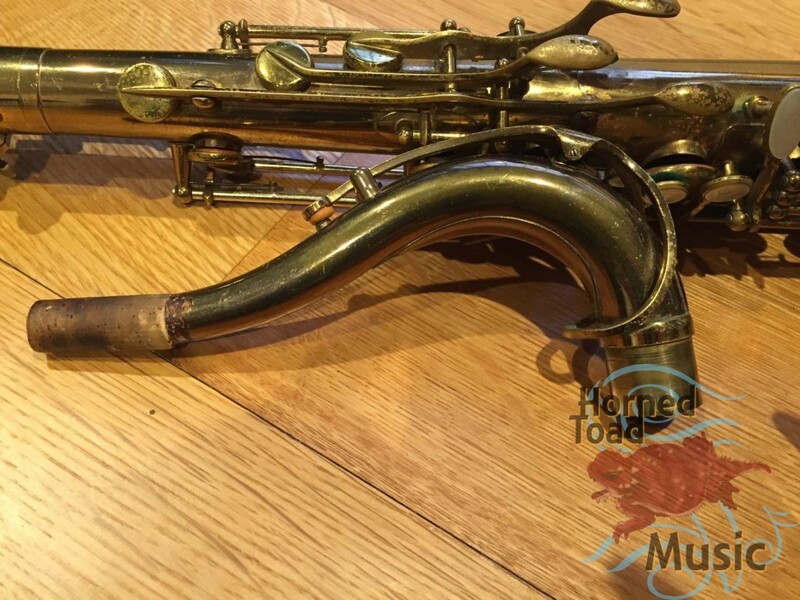 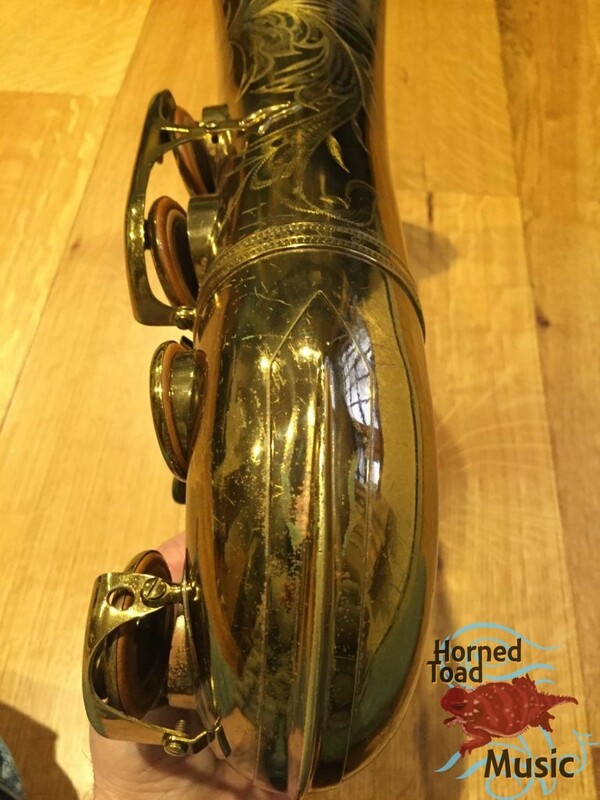 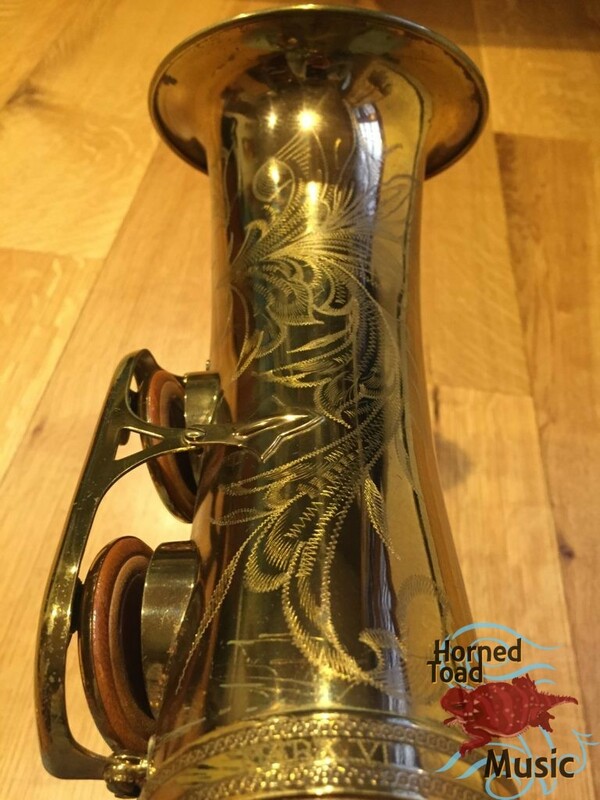 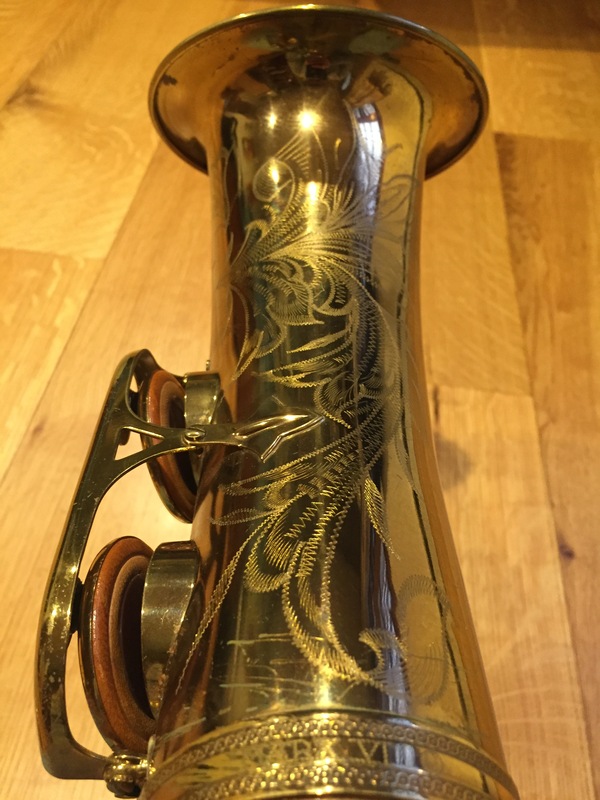 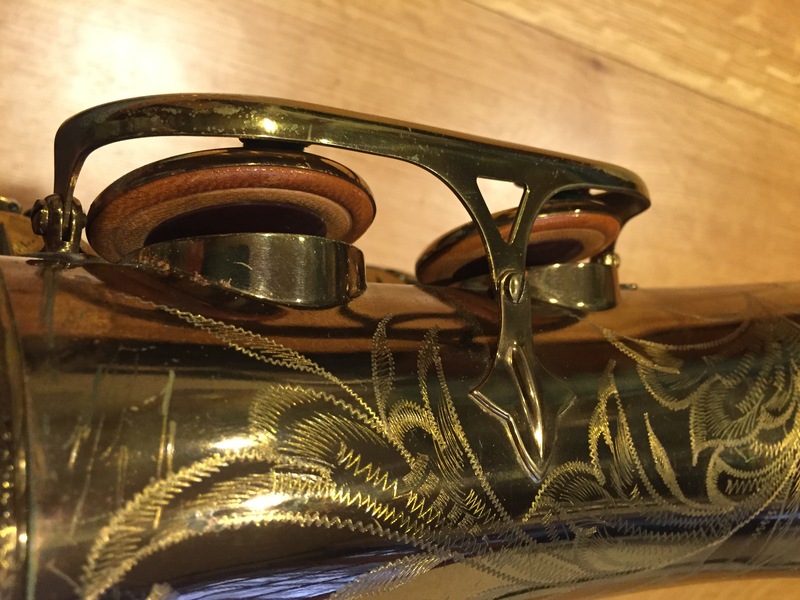 This horn has that booming, dark+bright lyrical crying sound that most Selmer player love. It needs the overhaul of your choice, as the pads are very old, but it is currently playing within certain limits. 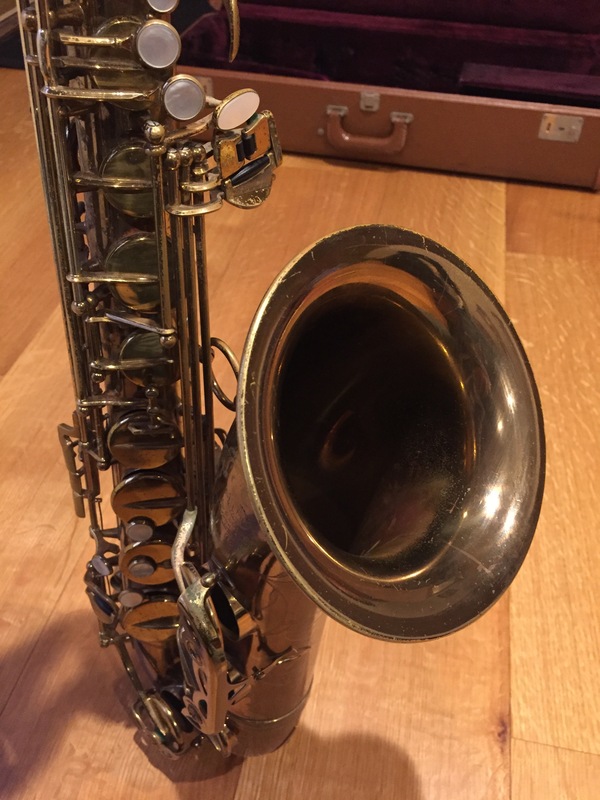 The bottom is not subtoning all that great at the moment, but this is sold as is, original for a new owner to setup fresh. 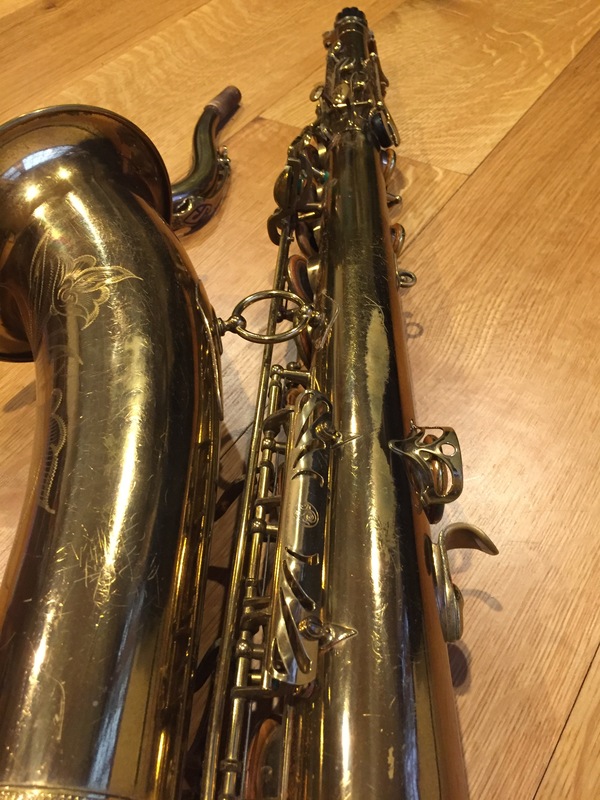 It is going to be amazing!